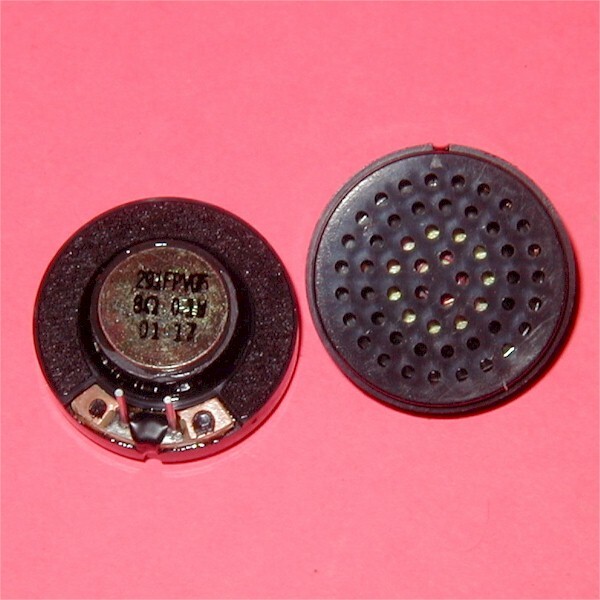 Small 8 ohm 0.1 watt mylar Speaker with Grill. The grill can be removed fairly easily. Dimensions are 29mm diameter x 13mm thick. Rated 8 Ohms, 0.10 Watt. Prepped with leads for PCB mounting. Part #291FPVG5. These are coming from new factory cases.